You can either view this edition via our Web version or App versions. PHVS Should not be Congestion Charged! 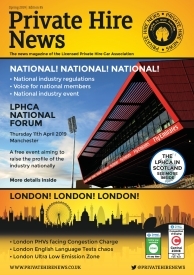 LPHCA Membership – Isn’t it time you joined?